Not only is this hearty salad full of nutritious ingredients, it’s also packed with flavor. To begin with, barley, an antioxidant-rich grain with plenty of fiber, creates a satisfying and slightly nutty base for the salad. Hulled barley, which is used here, is higher in fiber than pearled, but either is a healthy choice. Bear in mind, cooking the hulled barley will take a bit longer than pearled, so make sure to factor this into your cooking time. Since barley is a source of wheat, it is not gluten-free, however the recipe can easily be made so by swapping the barley for another whole grain, such as quinoa, millet or teff. 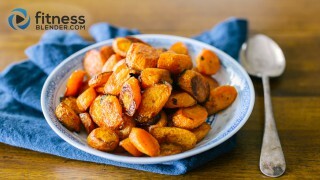 In addition to wholesome barley, roasted sweet potatoes, and cauliflower also provide a number of health benefits, including Vitamin A, Vitamin C and manganese, to name a few. As the sweet potato and cauliflower roast away in the oven, the vegetables become tender, sweet, and slightly caramelized, giving even more depth of flavor to this dish. Once the vegetables and barley are cooked, they are married together in a bright and vibrant green dressing of fresh, fragrant herbs. Any mix of your favorite herbs will work well, but equal parts mint, parsley, basil, and dill is a beautiful combination. If you’re pressed for time, this recipe can be made in parts in advance; you can cook the barley, roast the vegetables, and prepare the dressing up to two days ahead of time. Simply store these ingredients in airtight containers in the refrigerator until you’re ready to assemble the salad. This recipe yields enough for four people as a main, or six as a side dish. Not cooking for a crowd? Not a problem. This salad keeps well in the fridge for a couple of days, making for delicious leftovers for tomorrow’s lunch. If the salad looks dry after being chilled, give it a squeeze of lemon or quick drizzle of olive oil, toss and serve. On a sheet pan, toss sweet potato, cauliflower, and garlic with oil, salt and pepper. Roast until vegetables are tender, about 45 minutes, tossing halfway through. Set aside to cool. In a food processor or blender, add all dressing ingredients. Squeeze in the flesh of the roasted garlic cloves. Blend until smooth. 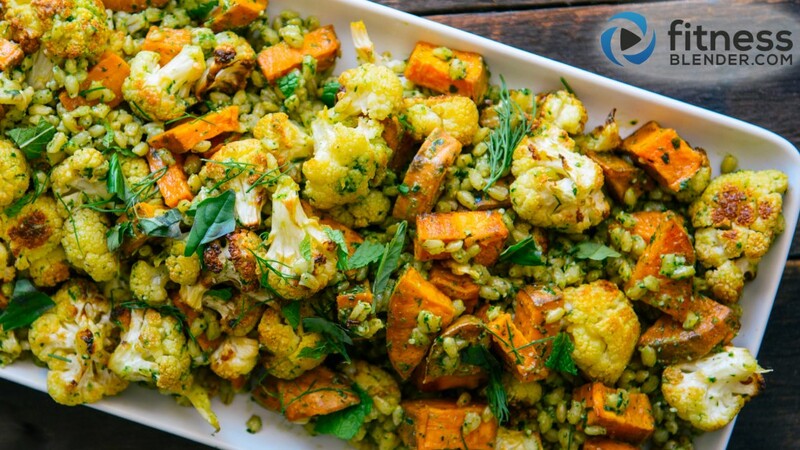 In a large serving bowl, toss roasted vegetables and barley with dressing. Serve immediately or store in an airtight container in the refrigerator up to 2 days.